Thief, Threat, Forgetful Grandpa, or God? 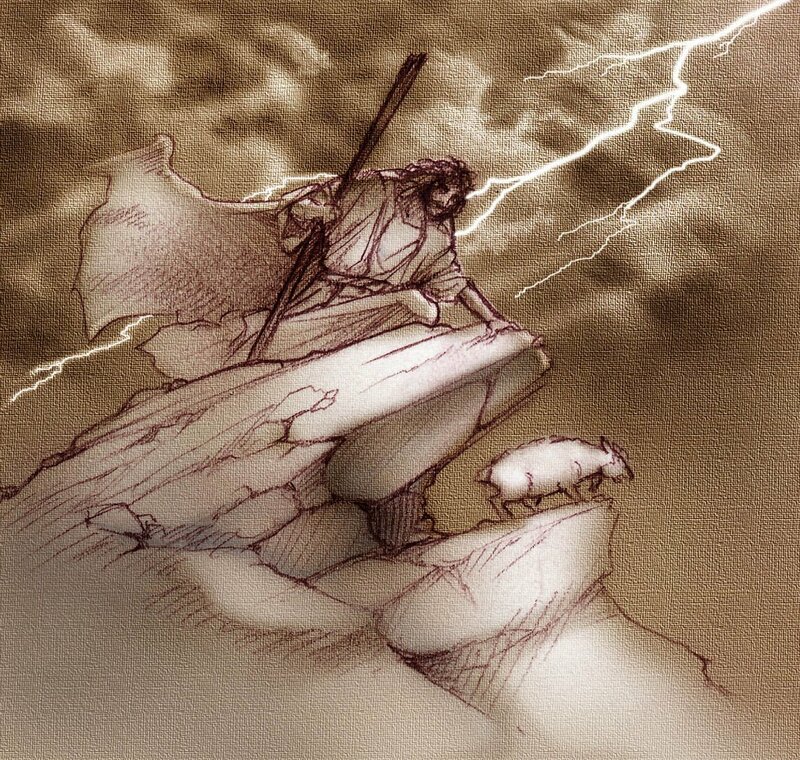 John 10:1-21 brings us to the parable of the good shepherd. Jesus lays down this story in the first six verses about how a thief sneaks in, but a shepherd is given free access, and the sheep freely follow him. There is a sense of forced thievery as opposed to freedom in the story. But it’s lost on the audience, and rightly so. They are hearing it for the first time, and it is a strange parable. So, in verses 7 and following, Jesus explains it a bit. First off, he compares Himself to the gate. Everyone who came before Him were robbers, He claims. People have been trying to get to God on their terms, climbing over the wall. They couldn’t get through the door to God, so they had to go over the wall and try to break in. The implication is that it didn’t work. But Jesus says He is the gate, and it is now wide open. You no longer need to break into the Kingdom, it has swung open to anyone who wants to come in. Then He claims that the thieves only are there to take life away, He is there to give it freely and to the full. Verse 17 is interesting, in Jesus saying the reason God loves Him is because He lays down His life and takes it up again. There is an idea that in the Trinity (God the Father, God the Son, God the Spirit), that each has a role of service they perform in love for the others. God the Father is creator, God the Son is the sacrificial one, and God the Spirit is the one who sustains everything. They do these things for each other in love and service. In that, they have a complete and deeply passionate relationship among themselves. This is one of the verses that tends to point in that direction. So, Jesus says that there are people who try to break into heaven, climb the walls into God’s Kingdom, and they are thieves. Their methods and ideas lead to pain and death. He also says He is here to offer a free passage in. He will stay with us, even to the point of dying for us. And people are split on Him. Some claim He is absolutely nuts and demonic. Others claim He is exactly who He says He is. Unfortunately, with time, we have created a third option. He’s God, but He is a weak god. He doesn’t really mean what He says, other than the stuff about getting us into some kind of paradise after we die. We ignore Him here, because after all, He is not enough to take us on. When we die, we’ll use Him as a big, generous land lord. And if He protests about it, wanting to know why we should be allowed to live in His mammoth gated community, then we will pull out the contract where we said a prayer, He signed off on it, and then we will march right on in. I don’t think the people who knew Jesus in a face to face way would see this third option as viable. I think you have them divided because He was divisive. He was blunt. He demanded a lot, and offered a lot. And people were split on it. If He had been the wimpy version we have created as Americans, they would never have killed Him. He wouldn’t have been a threat to anyone. He would have been more like a feeble old grandfather with a lot of money and a short memory. But they killed Him. Never forget, He was, and is, such a threat, that they were forced to kill Him. Some loved Him. Some hated Him. Many feared Him. But no one ignored Him. What of you? What role does He really play in our lives? Next Next post: It’s "A" or "B", there is no "C".